The Royal Botanic Gardens at Kew was founded in 1759 and this historic landscape garden features the significant period of the art of gardens during the 18th to 20th centuries, housing botanic collections of conserved plants, living plants as well as documents, which have been enriched all through the centuries. Since its creation, the gardens have made remarkable significant as well as uninterrupted contribution to the study of plant diversity and economic botany. It has also been declared a UNESCO World Heritage Site in 2003. The Kew Gardens is one of main visitor attraction of London while the second garden in West Sussex, is home to Kew’s Millennium Seed Bank and its science and conservation work, provide help in discovering as well as describing the world’s plant and fungal diversity in safeguarding the plant life of the world for the future, together with promoting the sustainable use of plants. The Royal Botanic Garden is a non-departmental public body sponsored by the Department of Environment, Food and Rural Affairs in UK. Being an international important botanical education and research institution, it has 750 staff with its chief executive being the current Director, Richard Deverell while its board of trustees is chaired by Marcus Agius, Barclays PLC’s former chairman. 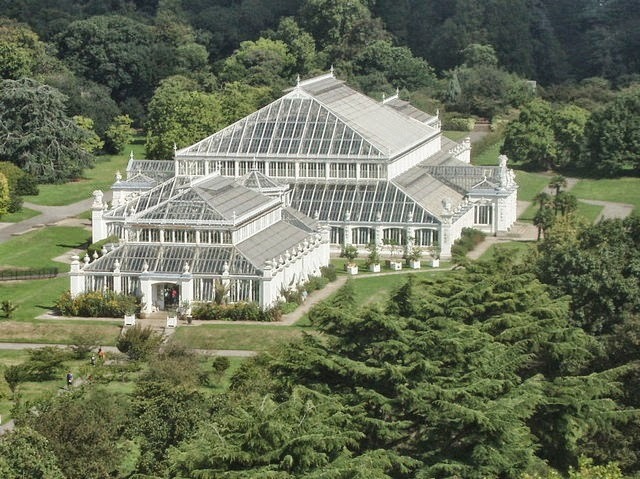 The botanic gardens at Kew is organised in Richmond upon Thames in southwest London and at Wakehurst Place, which is a National Trust property in Sussex. This is home to internationally important Millennium Seed Bank and the Seedbank is the site of several research project as well as international partnerships with around 80 countries. The pagoda tree which is given a tongue twisting scientific name – Styphnolobium japonicum is a native to China inspite of japonicum, indicating that the tree is Japanese which grows off of the Broad Walks’ central path near the Ice House. The maidenhair tree is a male tree with pollen producing catkins and it is the female trees that produce the fruits with their smelling fleshing coatings. This tree is also the early introduction from China and one of the remaining trees from the first section of the botanic garden which was started in 1759, by George III’s mother, Princess Augusta. The black locust or false acacia was introduced in 1630s to Europe and the tree originally planted in 1762 at Kew is presumed to have come from the Duke of Argylls’ estate in Whitton and seems to be the survivor of other trees that had been brought to Kew from the estate during the 18th century. The Caucasian elm is the last of the three original Zelkovas and grows in the Herbarium paddock and is not in the public area of the gardens.